UK Last Wills and Testaments. Lawyer Drafted. A Last Will allows you to provide for your loved ones and help them avoid the frustration of the probate process. These forms include Living Trusts and Last Wills designed for dozens of lifestyle needs. Will forms for use by married, single, divorced or widowed individuals who may, or may not, have children. 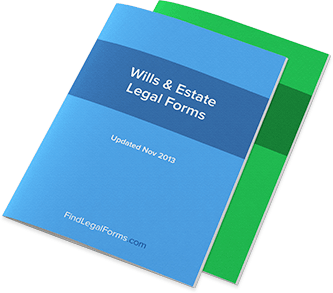 These forms will assist in effectively planning your estate. Will - Gifts to Others With Residue to an Adult UK Will for single, divorced or separated person with no children. Will - Gifts to Others, Residue to Partner, then Children UK Will for person who is married (or in a serious long term relationship) with children. Will with a Single Beneficiary (Adult, Child, or Charity) UK Will used when you want to leave the whole of your Estate to just one person. What types of Wills are there? Holographic Wills - informal and handwritten. Statutory Wills - a template-based document that is pre-drafted, requiring the Testator to fill in blanks. Testamentary Trust Wills – more complex than Statutory Wills, allowing the Testator to set up a trust. Who should use a Will? Wills are recommended for all adults regardless of profession, current health or size of estate. Individuals dying without a will (intestate, described in more detail below) may leave behind unintended conflict among family and friends, not to mention that their property may be distributed in a way that they would not have wanted. What is the benefit of using a Will? The benefit of having a Will is to allow the Testator to still have legal bearing and control on how their property and dependents will be treated after their death. In addition, this control will provide peace of mind to the Testator, knowing that they have provided for their loved ones after they pass away. What are the requirements to a valid Will? The Testator must be: (i) an adult or declared as an emancipated adult; and (ii) of sound mind and judgment at the time when the Will is created and signed. Within the Will itself, the Testator must: (i) plainly identify himself/herself, the executor(trix)and beneficiaries; (ii) describe how their wishes will be carried out; and (iii) attest their Will by signing and dating the document. What are the requirements in signing and executing a Will? Although specific requirements differ from one state to another, generally a Will must be signed before one or two disinterested witnesses (non-family members or persons receiving a portion of the estate). In some states the Will may be required to be notarized. How do I enforce a Will? Generally after a Will has been executed, the Testator should make copies of the Will and distribute a copy to the executor, keep a copy in a safe, secure, location, as well as inform family or friends of the location of the document. When the Testator dies, the Will is then submitted to a probate attorney or the probate court by the executor or any of the beneficiaries. Where is a Will enforceable? Provided that a Will is valid, it is enforceable in any state in the United States. Can a Will be terminated or revoked? Because there is no filing requirement to show or declare that a Will has been created, revoking a Will is rather simple: (i) destroy the Will and any copies; or (ii) create a new Will with a provision that the new Will revokes any and all prior Wills. If two Wills are presented to the probate court, the court will enforce the most recent Will and effectively revoke the prior Will. Create a Codicil. A Codicil is an amendment to the original Will. To be valid, it must meet the same execution requirements of the original Will. Create an entirely new Will with the changes and include a provision that revokes any previous Wills and Codicils. If you pass away and have not created a Will, you are considered to have died intestate. When a person dies intestate, the probate court will appoint an administratorto handle the deceased’s estate. Typically, the estate will be distributed based on the state’s inheritance laws.